Growing up with music Elie Abdelnour and Mayssa Jallad started to perform as the band Safar more than three years ago. Their music is multi-dimensional, catchy and melancholy at the same time, addressing often personal and social issues. More than eight years ago Elie and Mayssa have met and started to perform together, first playing covers and then later original songs. “Sheets” was the first song they wrote together as the duo Safar (which means in Arabic Travel) and it will be included in the first Album “In Transit” released by the Beiruti label Ruptured which was established by Ziad Michel Nawfal and Fadi Tabbal. Elie and Mayssa recorded their song “Sheets” at the Tunefork Recording Studio founded by Fadi Tabbal and which is a local creative hub for many young emerging Lebanese artists. Tunefork Recording Studio has been around since 2006, fostering the alternative scene in Lebanon by engaging and collaborating with new artists. “In Transit” is a compilation of their previous EPs “23 Kilograms”,“Carry-On” and „Gate 3“ with previously unreleased songs such as “Paper Planes“. Both EPs can be listened to at Soundcloud. Their first performances were at Beirut Open Stage and at various venues in Beirut, where they performed and practiced their new music in front of an audience. They have been performing and collaborating together with other Lebanese artists such as Salim Naffah, Pascal Semerdjian and Carl Ferneiné. They started a collobaration between Loopstache and Safar. The result was the covering of the song “Blurred Lines”. Both Elie and Mayssa grew up learning music from an early age on. Elie’s first instrument was the piano, Mayssa learned instruments too before starting to sing professionally. Elie enjoys playing the guitar a lot but his favorite instrument is the bass, because he thinks that “it is a very underrated instrument, but it holds the structure of the song together.” Both of them listen to a lot of music, which most of the time is not of the same genre as the music they are playing themselves. Elie has enjoyed listening to artists such as Childish Gambino, while Mayssa is very passionate about Feist and Sufjan Stevens. The Lebanese label released recently end-of-year lists by local artists, and Safar’s 2016 list included aritsts such as Nick Cave & The Bad Seeds, Angel Olsen, Andrew Bird, Radiohead, Leonard Cohen and David Bowie. While Mayssa has many notebooks in which she writes down lyrics and poems, both of them Elie and Mayssa are writing songs, creating the link between language and music. Elie tells me that Mayssa writes a lot of lyrics, and that she is always sharing it with him, to see what could work and what not. In exchange Elie is playing a melody, or an idea of a song which relates to the writings of Mayssa. Both acknowledge that Fadi Tabbal, another local artist is helping them a lot with the construction and arrangements of the songs. Fadi Tabbal has been around in the music scene for quite some time now and he has been involved in projects such as The Incompetents and Interbellum. Both are saying that “he has been a huge help, he has a lot of knowledge and knows a lot of local artists“, and Elie says while they don’t have a system or rule concerning songs, they both engage with each other in order to make sure that the end result is what both of them had in mind. They have performed already in Europe presenting mostly original songs. The Europe-tour has been a kind of a turning point for them and it made both realize what music means to them and that people enjoy their music. Even though they have mostly performed songs in English, they started to write songs in Arabic as well, and on the EP “Carry-On” they released their first Arabic song called Wa Namshi (And We Walk) and this song is addressing more political and social issues, concerned with refugees and where you can clearly hear a more indie-electronic sound in contrast to other songs such as “Sheets”. 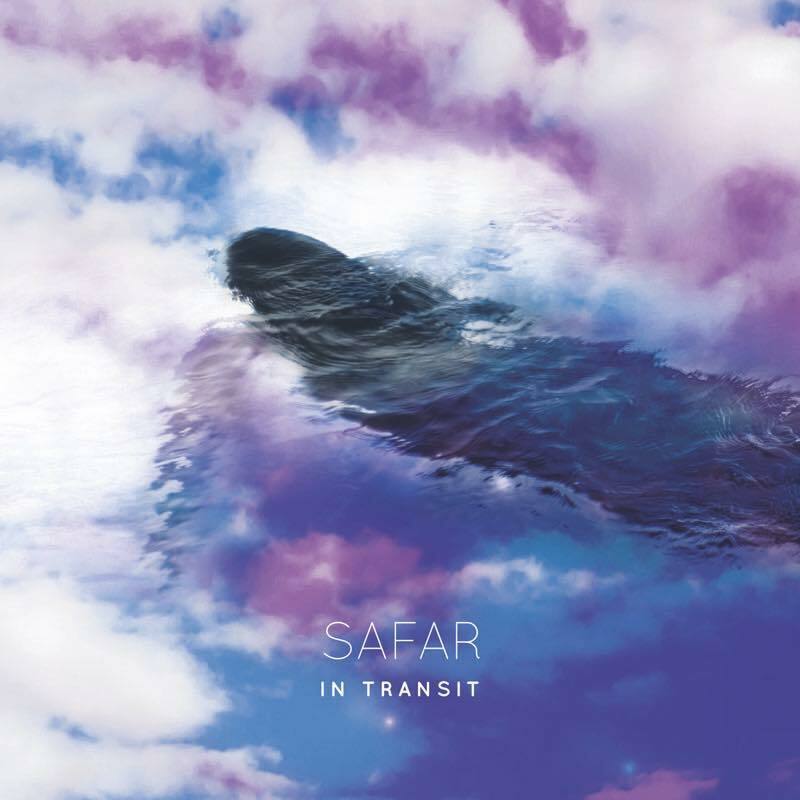 Safar is very multi-dimensional in their music. While most of their songs are very catchy, folky and have an up-beat character, they have on the other side, another melancholic and intimate sound. Both are now in the US, Mayssa is in New York and Elie in North Carolina, working and studying. One of their music videos has been shot in New York almost one year ago, showing the snowy urban landscape combined with the melancholic accoustic guitar sound and Mayssas lovely voice. The video was directed by Bane Fakih and Zalfa Halabi. Nevertheless, their passion of music is never left out of sight, and after the release of “In Transit”, they hope to do some small tours in the US, or again in Lebanon and other countries. The Album „In Transit“ can be found here.